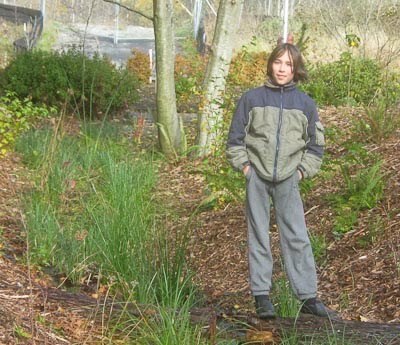 Last week, a ten-year-old Clearwater student composed a poem about Clearwater's new rain garden. Without further ado, here's his poem. We have a swale on the side of our school. Water runs in it and people run on it. So we’ve managed to not hurt it—-not a dent. So this is where my poem ends.